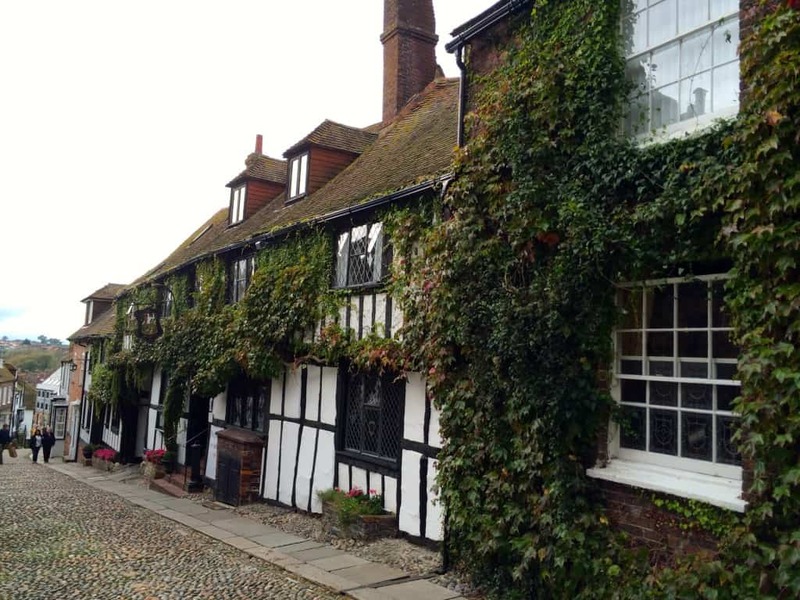 The Mermaid Inn is a historic and charming Tudor style inn which sits within the ancient town of Rye, in southern England. Cobblestoned streets will lead you to this memorable inn. If you have been following me for some time, you probably remember my Aunt Rosa. 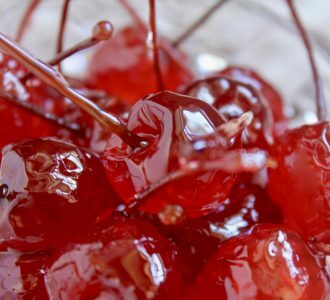 She makes the delicious rhubarb fool, and has the amazing green thumbs (yes, both of them), with all the beautiful flowers in her English garden? I was given a stay at the Mermaid Inn plus breakfast for two without any conditions, and as always, all opinions are my own. Since I was a little girl, I’ve been going to visit my Aunt Rosa in Rye. 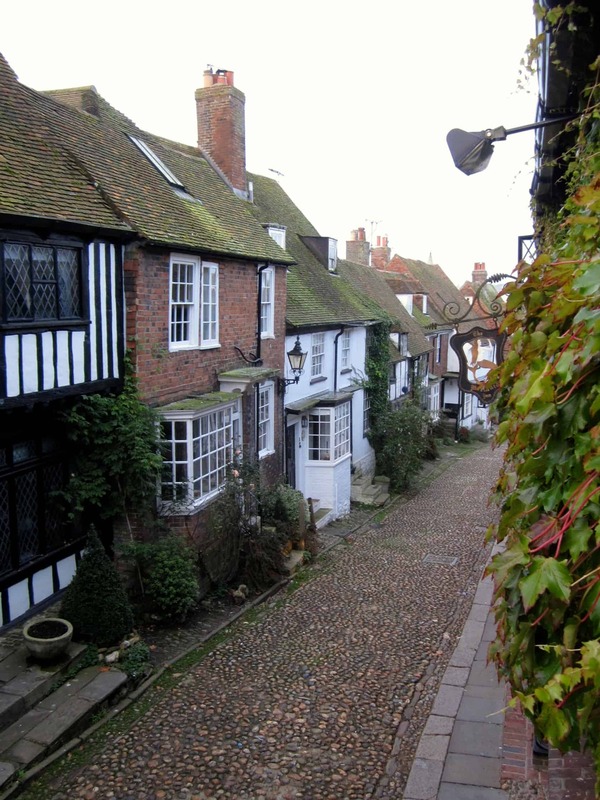 Whenever we visited, my family and I would walk into the ancient town of Rye. As a teenager and beyond, I cannot tell you how many times I passed in front of the Mermaid Inn, and gone to peek inside. You wouldn’t believe how many photos I have taken of this photogenic, Tudor-style building over the years. 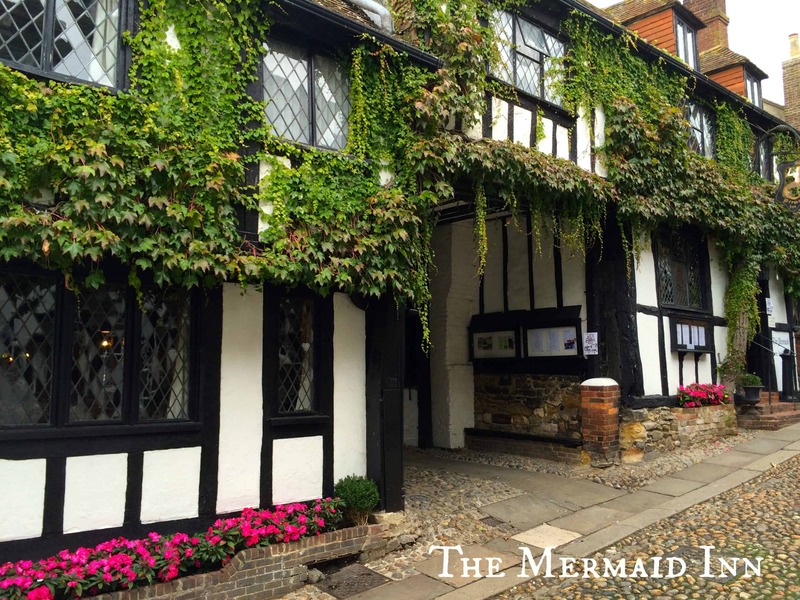 The historic Mermaid Inn sits quietly on Mermaid Street, “a jewel in the crown of Rye”, as it is so aptly described on the Inn’s website. Rye is one of the historic Cinque Ports (five ports). These include Dover and Hastings, in southeastern England, or more specifically, East Sussex. To begin to explain the history in and around this area would take pages and pages of writing. 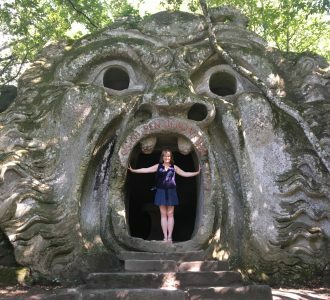 Instead, I will add some links at the bottom of this post for those of you who would love to delve into the rich past of this little English town. Suffice it to say that it is rife with stories of pirates and smugglers. 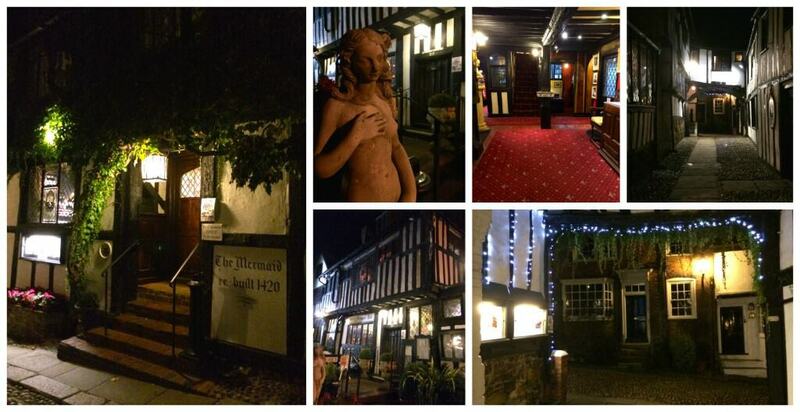 The “re-built in 1420” painted on the front of the Mermaid Inn gets me every time! Living in the US (particularly California), doesn’t afford me with too many similarly dated signs, so I am used to thinking 1880 is “old”. This is one of the reasons that I think the Mermaid Inn appeals to so many people–even by British standards. This inn is ancient, boasting its original construction date of 1156. So, to say that I was excited at the fact that I was finally going to stay at the Mermaid Inn is an understatement! 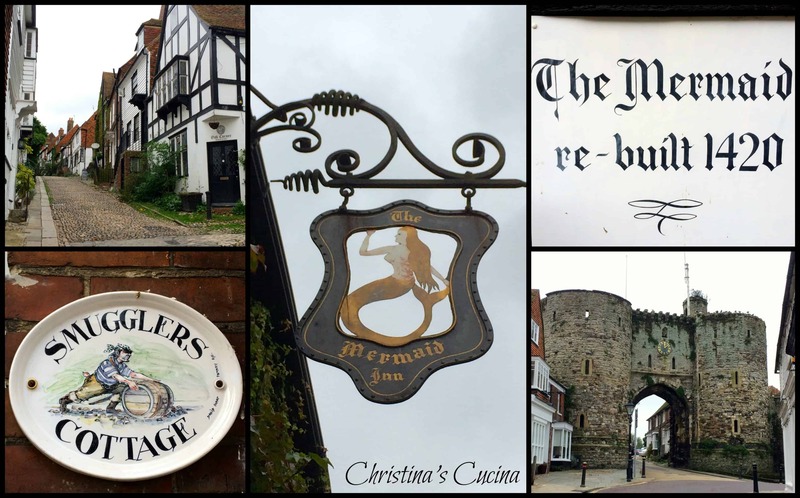 My mother was traveling with me, so we walked up the cobblestoned streets to explore The Mermaid. 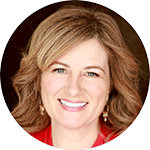 When we first arrived, we were able to meet the current owner, Judith Blincow. She was so animated and welcoming, that we immediately felt as if we were visiting a friend. Judith told us some fun stories about the hotel, and showed us memorabilia. These included a menu autographed by Charlie Chaplin in the year I was born, and photos of celebrities who have stayed at the Mermaid Inn. My Uncle Terry (Aunt Rosa’s husband) also happened to have worked there as a night porter many years ago, and told me that he met his share of famous guests. I didn’t even know that my Aunt Elvira also used to work at the Inn! I wandered around the establishment, thinking about all that must have transpired within the walls. I was incredulous that it was still in such fabulous condition. It is obviously very well cared for. 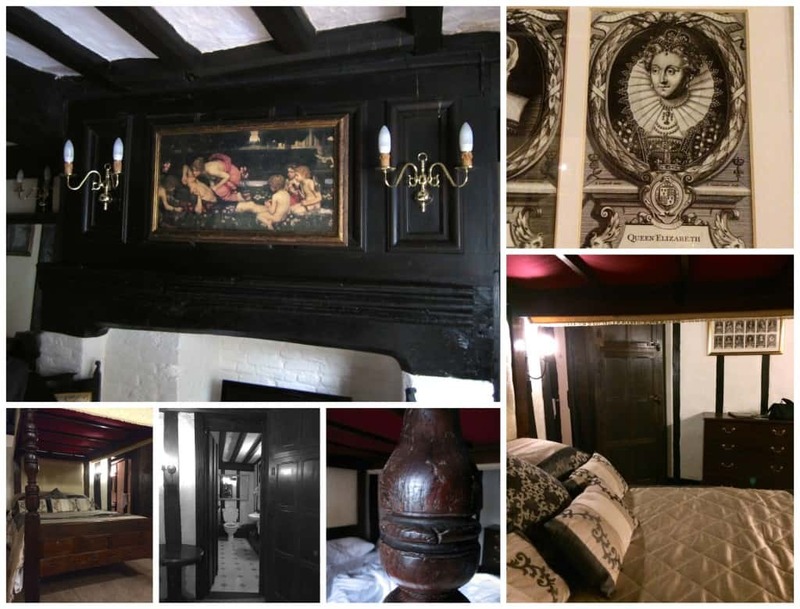 Although it is such an ancient building, The Mermaid Inn offers amenities sometimes not even offered by brand new hotels, such as free wifi in the lobby, and in the rooms. 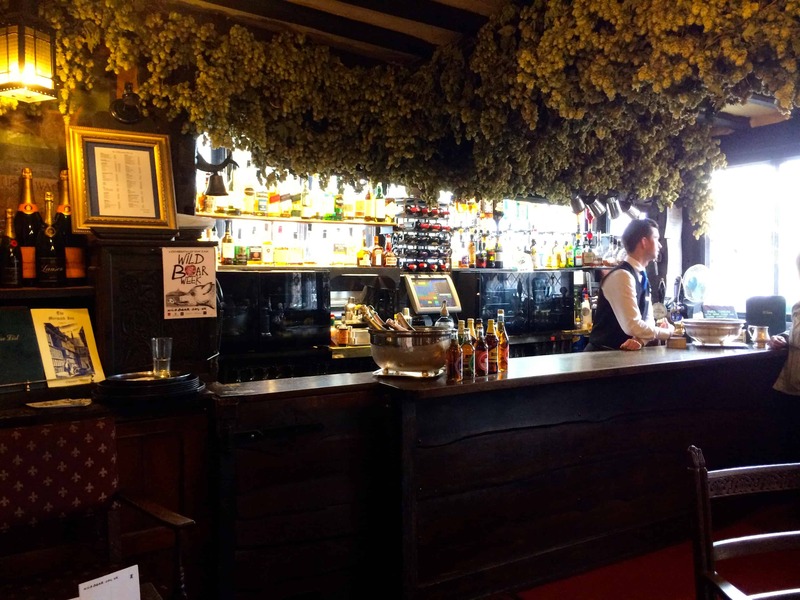 This is a photo of the bar, with dried hops adorning the ceiling. It seemed to me that there was something to admire with every step I took. The architecture of the rooms, the windows and stained glass, the artwork on the walls, and the Shakespeare quotes were so enthralling. I soaked it all in. I was very excited to see our room as Judith had told me she had checked us into Room 1. This room, which has a four-poster bed dating from the 1600s and looks onto Mermaid Street. We were taken up to our room by the porter, who was very helpful. He informed us that we should take care when entering the bathroom as age has taken a toll on the level of the floor. I must say, I loved the fact that floors, ceilings and staircases looked wonky; I almost felt like Alice in Wonderland! The room was beautifully decorated in subtle shades and was a wonderful place to relax after a couple of hectic weeks. I’d never seen the Mermaid Inn at night and it was even more magical during this time. 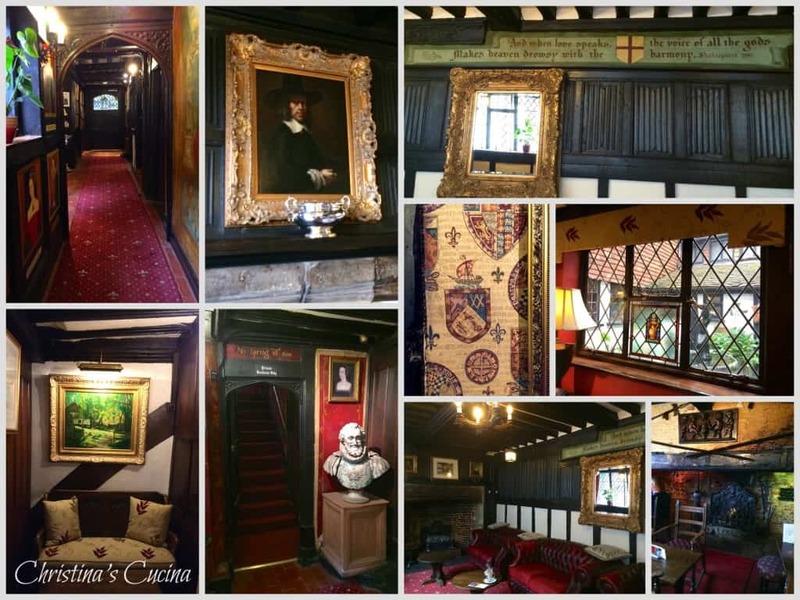 Although there are many stories of ghosts which supposedly haunt the inn! 👻 Despite this, my mother and I slept soundly, straight through the night. That’s really saying something as my mother doesn’t usually sleep well. The next morning just happened to be my birthday, and I couldn’t have asked for a better way to start the day! It wasn’t a sunny day, but I didn’t care. I was looking out onto Mermaid Street from the Mermaid Inn–something I’d wanted to do since I was a little girl! We went downstairs to enjoy a full British breakfast. 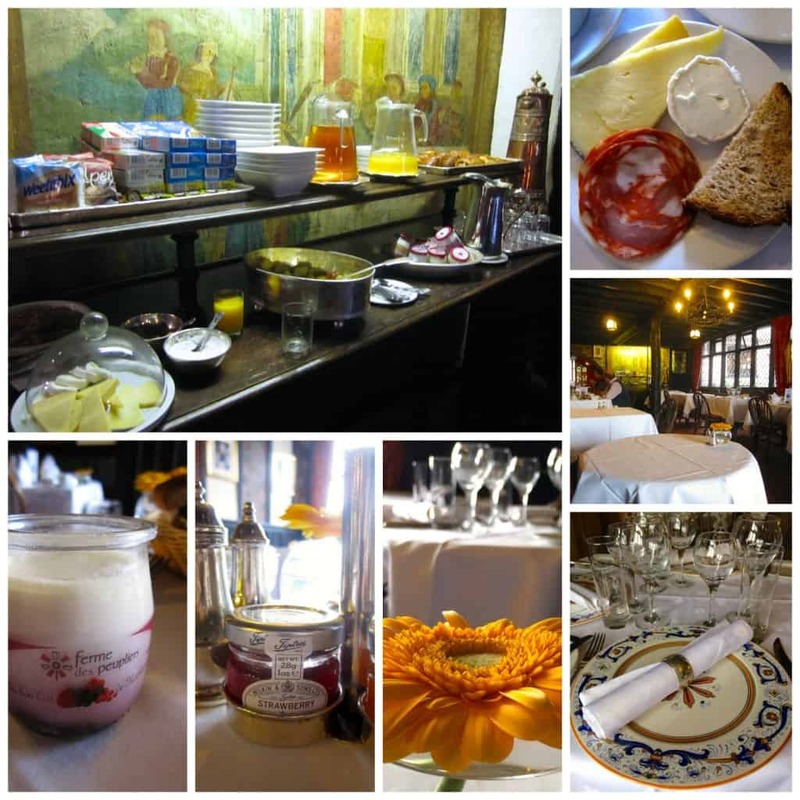 However, in addition to a cooked meal, there were plenty of other choices such as yogurt, cereals, fruit, meats and cheese, and pastries. 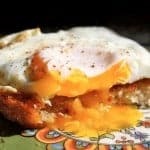 This lovely breakfast tasted as good as it looked! 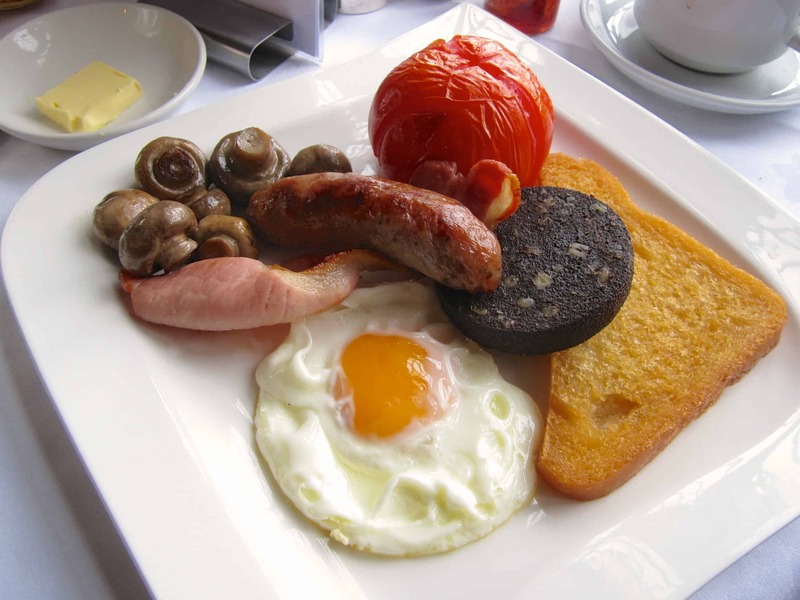 I especially loved the black pudding, and the bread that looks like toast is actually fried bread. We had until noon to check out of the Mermaid Inn, which was wonderful as we didn’t have to rush. It would have been even better to stay for at least another night or two. However, my schedule was so completely full on this trip that I didn’t even manage to get a day in London. Even though Rye is a small town, there are so many things to see and do. It’s impossible to manage all of them in a day. It’s also a great base for visiting National Trust properties* nearby. In fact, Lamb House is just around the corner from the Mermaid Inn, or taking day trips to places like Hastings, Brighton, or even France! If you do ever get a chance to visit East Sussex, I hope you will try to stay at the Mermaid Inn. Or at least have a meal at their AA Double Rosette Restaurant. Being at the inn is truly an experience that you won’t be able to find anywhere else. And let Judith know that I sent you! More to come on Rye later, but as promised, here is the link to the Mermaid Inn if you’d like to book a reservation, and a few other links about the inn, and the area. *If you are heading to the UK this year (2016), I have some great news! Just for being one of my readers, the Royal Oak Foundation is offering you a DISCOUNT CODE FOR 20% off MEMBERSHIPS! The Royal Oak Foundation has also launched a new blog, Anglofiles, which you can find on the link below. Please show them your support (even if you’re not heading over to the UK), by following them on social media, which you’ll find on their website. Thank you for helping to support an organization I truly believe in! 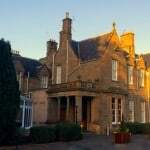 I was given one night and breakfast for two at the Mermaid Inn, as well as a Royal Oak Membership for my mother and for me, however, I only promote products and services I would use myself (e.g. I have been buying annual Royal Oak family memberships each time we have visited the UK in the past). I am disclosing this in accordance with FTC regulations. 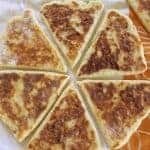 Fried Bread: A Very Naughty Breakfast…but oh, so worth it! What a great stay! I love staying in the “haunted” rooms! What a charming inn! I love staying places with so much character like The Mermaid Inn clearly has. How charming! I need to get out to the countryside. 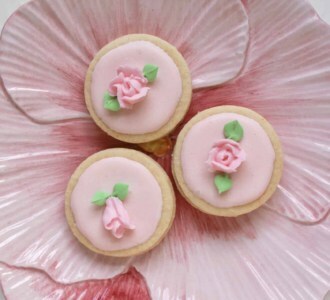 So quaint and adorable!!! It reminds me of a storybook fairytale! 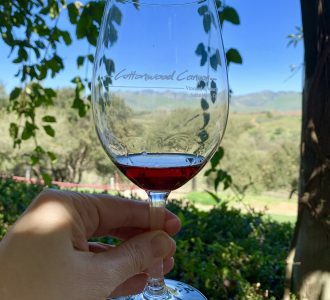 Great post and pics! I would be in heaven! Oh the history! If those wall could talk I would sit and listen to them for hours and hours! Just wow! What a quaint and charming place! I can picture myself there right now! WOW! What history and charm. It looks like a fairy tale. I now have another place to add to my Life List of things to do. Thanks for the info. How incredibly charming! 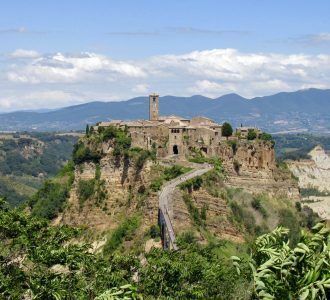 This region is on our short list… we just keep bumping things and head back to Italy! 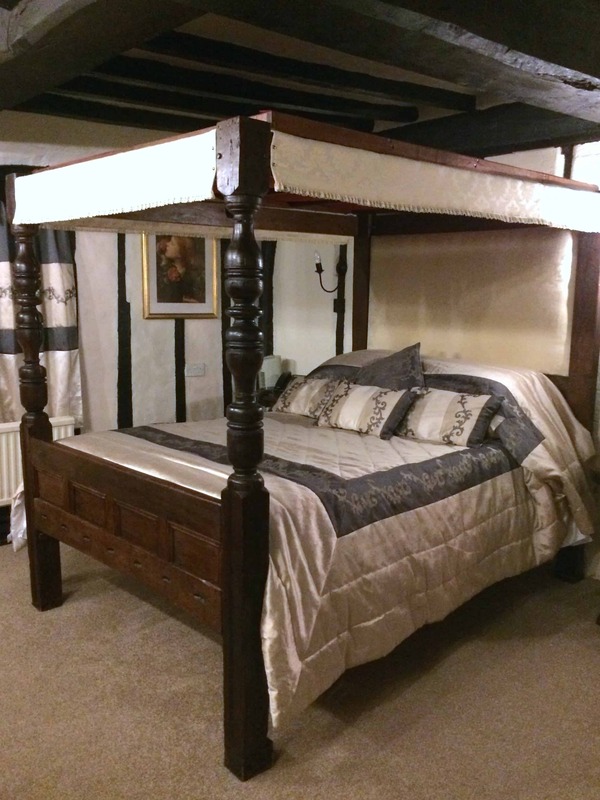 Oh the stories that four poster bed could tell – the 1600’s wow! Just thinking about the clothing styles of all the women that dressed in that room over the centuries as the history loving traveler in me to wish the walls could talk! I know, Andi! I think of the same things…like where the pirates would hide and how it must have been such a different place back then due to the people who were in the building! 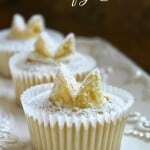 You would love the Mermaid Inn! Christina you made me feel as if I were right there…I love historic inns, and I would absolutely love to visit this one. This is exactly how I image little, historic towns in England would look like. SO cute. I’ve only been to London, but I’d love to explore the countryside the next time in England. This looks like a great place to do that! What a fantastic place to stay! 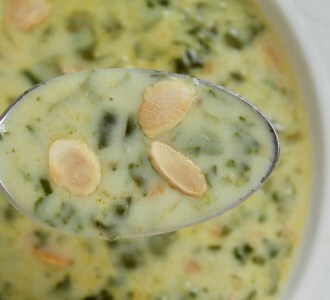 This looks SO nice!!! You simply cannot beat old English charm like this, there’s nothing else quite like it in the world. You did such a lovely job capturing it in your photos. 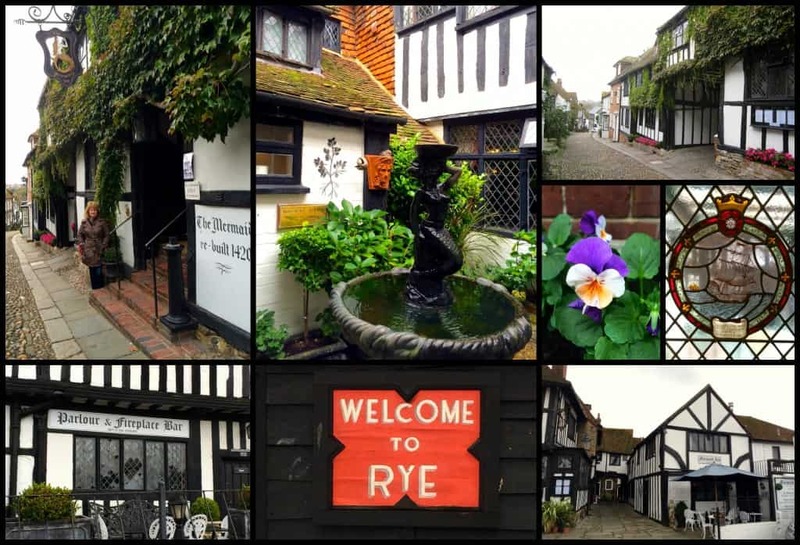 I lived for quite a few years in England and had never heard of or visited Rye. I’ve added this lovely village and inn to my itinerary for the next time we visit. Thank you! I’m headed to England tomorrow, to go through the Cotswolds, and now you’ve got me even more excited to leave. There’s just something about the old inns there that is beyond charming. This looks like a place I would love to stay. Wow! Who wouldn’t want to stay at such a charming & lovely place?!? Thanks for taking us with you!